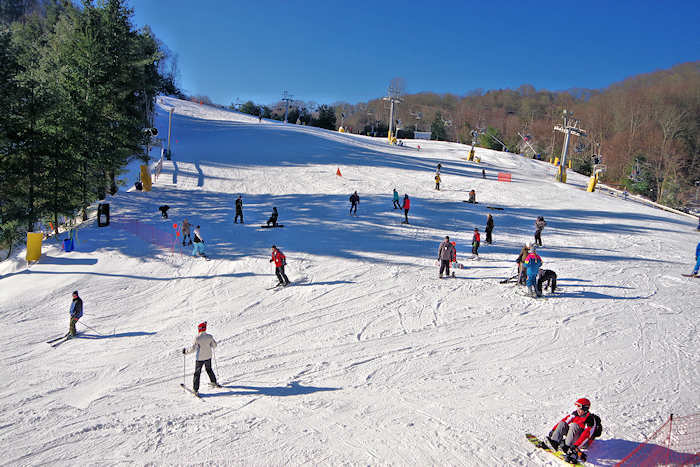 Cataloochee Ski Area in Maggie Valley is just 40 miles from downtown Asheville. With elevations up to 5,400 feet, it is usually about 10-15 degrees colder than the city. This allows them to have a long season with one of the most advanced snowmaking systems in the Southeast that covers 18 slopes and trails. Warm up in the lodge that has a restaurant, gear shop, bar and rental shop. 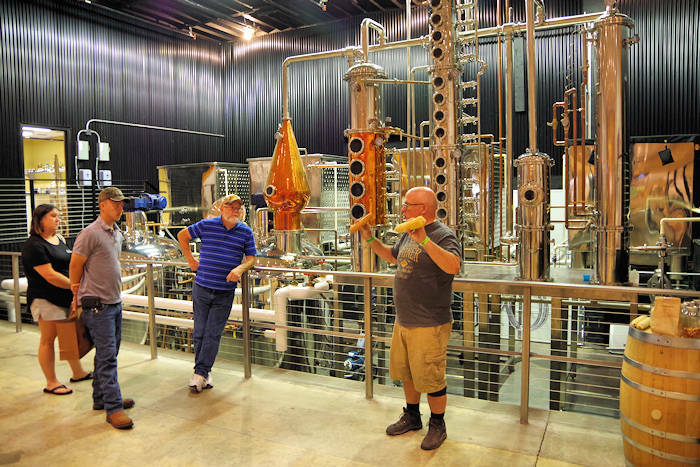 You don’t need to bring any equipment, since they offer a big variety for rent. 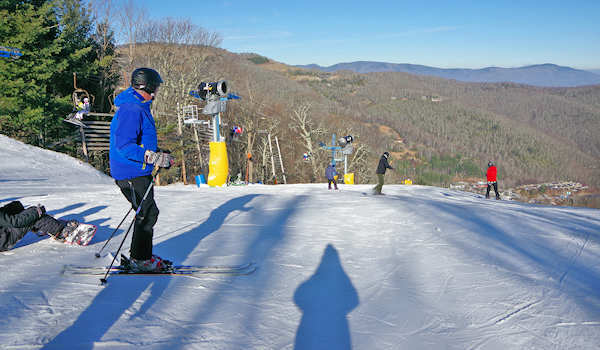 While they have equipment up top, we suggest stopping at their Cataloochee Ski and Sports down in Maggie Valley (3434 Soco Road) – including skis, snowboards, bigs, jackets and helmets. You can also buy goggles, gloves and accessories. Find a variety of terrain for beginners to experts. They offer lessons for all levels of instruction for all ages. 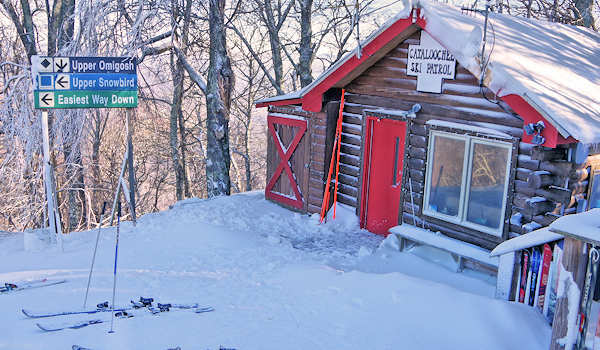 With 100% snowmaking on 18 slopes and trails including the Cat Cage Terrain Park, 3 aerial lifts and 2 moving carpet lifts, and over 4,000 sets of snowsports equipment, the Cataloochee experience offers something everyone. Find a vertical drop of 740 feet and 5 lifts. If you are looking for any extra thrill, the Cat Cage Terrain Park has rails, boxes, jibs and jumps. Here's the view from the top of their 1,000-foot expert run, aptly named Omigosh! As with other ski resorts, you'll save by visiting during the week or ski at night (after 6 PM). 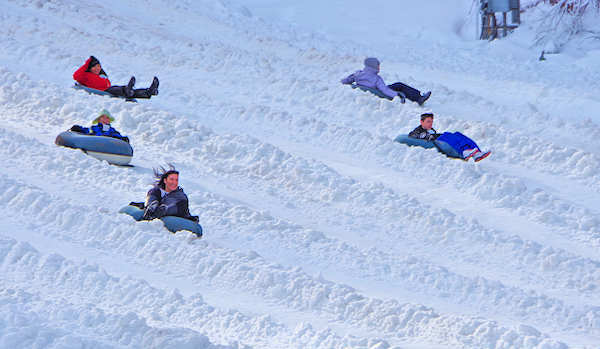 Down the hill in Maggie Valley, find Tube World, a snowtubing hill with up to 12 lanes. It's about 4 miles from the ski area (4821 Soco Road, Maggie Valley). Reservations are recommended - they sell-out many days. Cost is $25/person for a 1 hour 45 minute session. They have the tubes. They are usually open mid December through early March on Thursday-Sunday, plus Christmas week and holiday Mondays. Take I-40 West to exit 27 on U.S. 19/23/74 South. In about 4 miles, take exit 103 for Maggie Valley / US 19. At the far end of Maggie Valley, turn right into the Ghost Town in the Sky parking lot onto Fie Top Road. Continue 3 miles to the top of the mountain on Fie Top Road. Turn left at the top of Fie Top Road onto Ski Lodge Road and continue 1 mile to ski area. Allow one hour to drive from Asheville. More info: Go to their Web site. 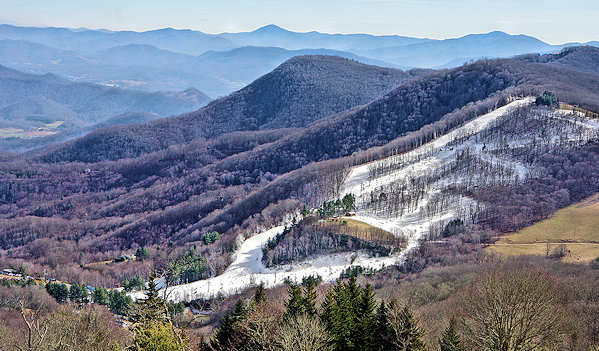 See more Ski Resorts near Asheville. 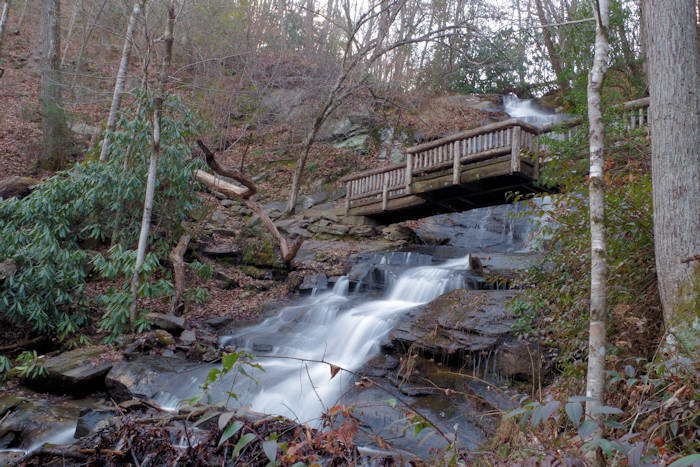 Nearby towns are Waynesville (14 miles) and Lake Junaluska (12 miles) and Cherokee (19 miles).